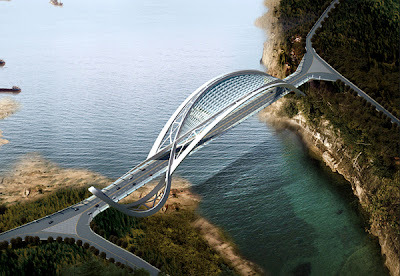 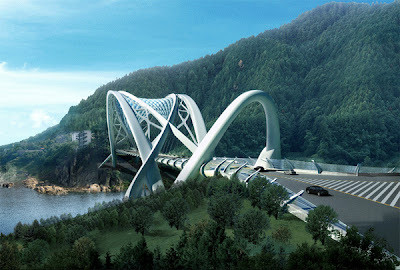 The Dragon Eco Bridge designed by Taranta Creations due to be completed in 2012, is located in Chongqing, China. 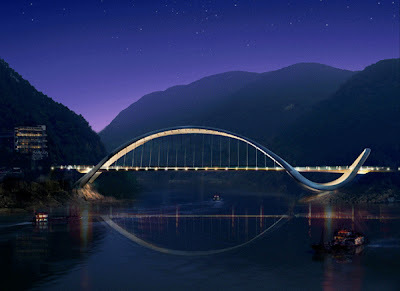 With it's organic dragon-like form, it is a perfect design for the culture of China. 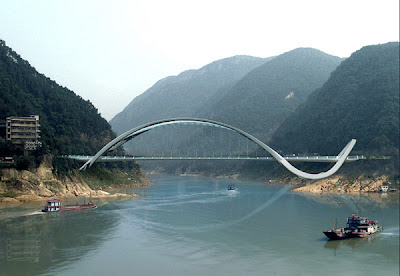 The complex form, when viewed from the sign is a simple S shaped curve traversing across the mountain side and the river.